A fun novelty board book with die-cut pages and a pull-out puzzle piece to play with! It's Elephant's birthday! But he's sad because everyone seems to have forgotten his special day. Though Elephant searches the whole jungle in hopes of finding a celebration, he sees nothing at all. 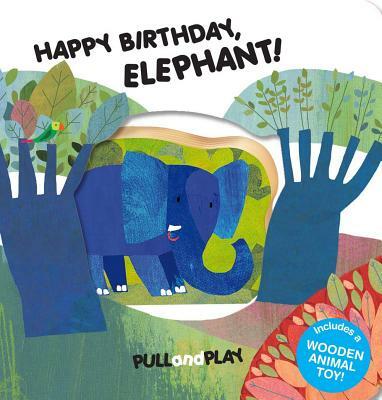 But the last spread has all his friends throwing him a BIG surprise party—and kids can pull out the wooden Elephant puzzle piece and place him right in the middle of the fun.